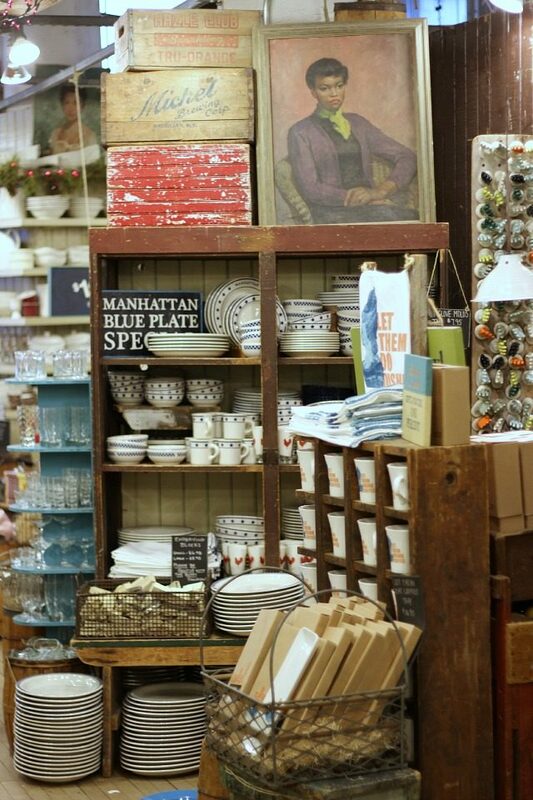 Fishs Eddy is a great kitchen/dishware store down around the Flatiron neighborhood. 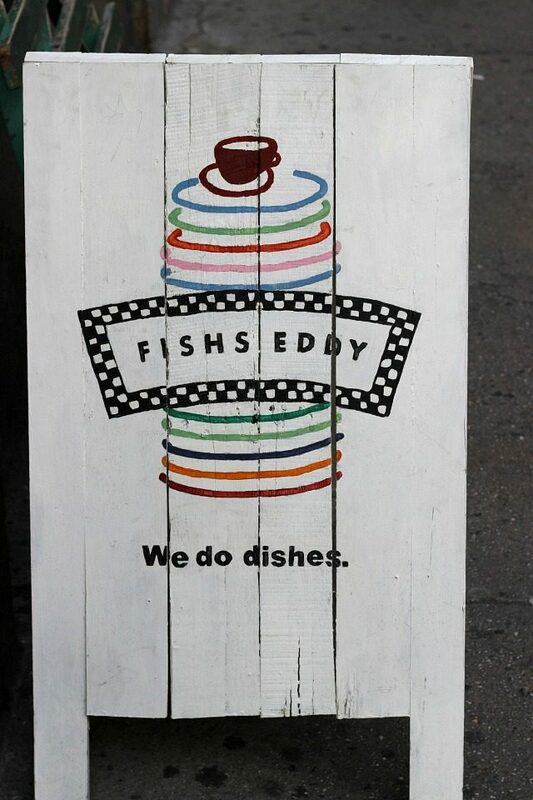 I know, kitchenware sounds kind of boring….but Fishs Eddy is anything but. Their motto is “we do dishes,” and they certainly do-but not in any ordinary way. 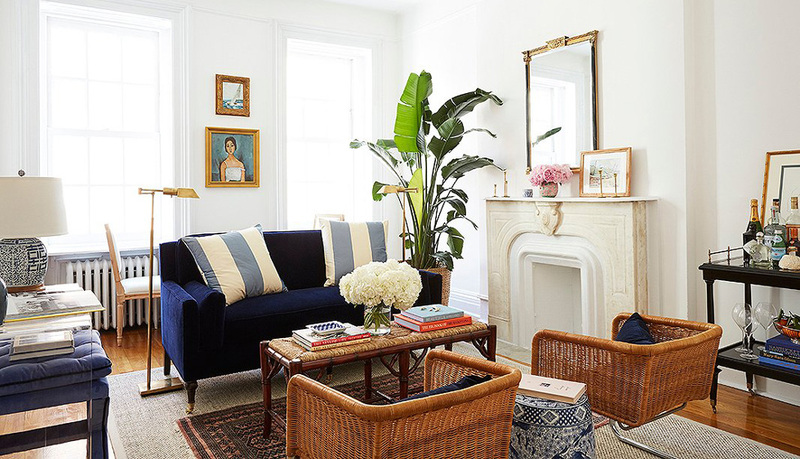 The items available are eclectic, unique, and absolutely charming. 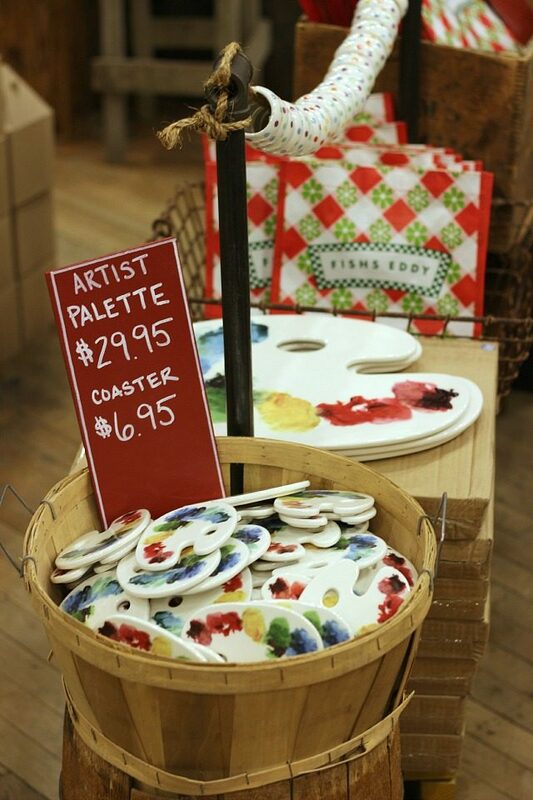 Everything, from the merchandise, to the signage, to the store’s decor, is done with a little wink. 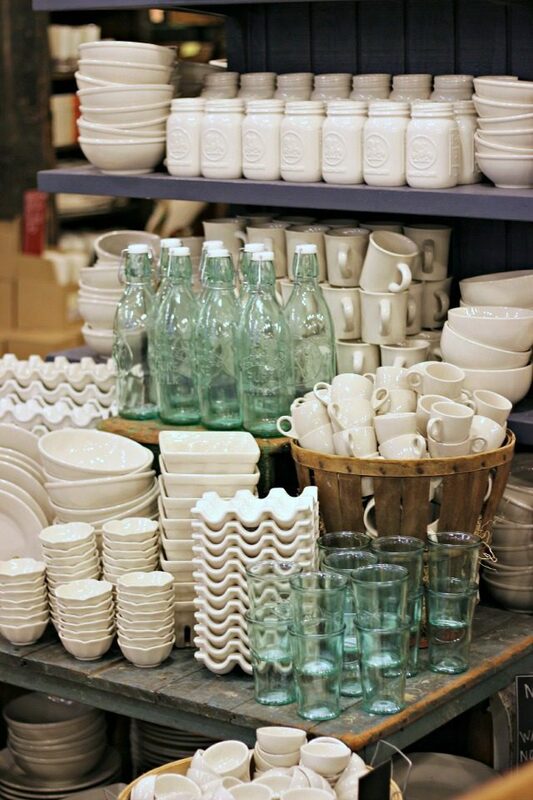 Fishs Eddy has everything you could want for a beautiful and functional kitchen, including the basics – high-quality dishware in clear glass and creamy whites, kitchen tools, dishtowels, and more-but then comes the fun stuff. 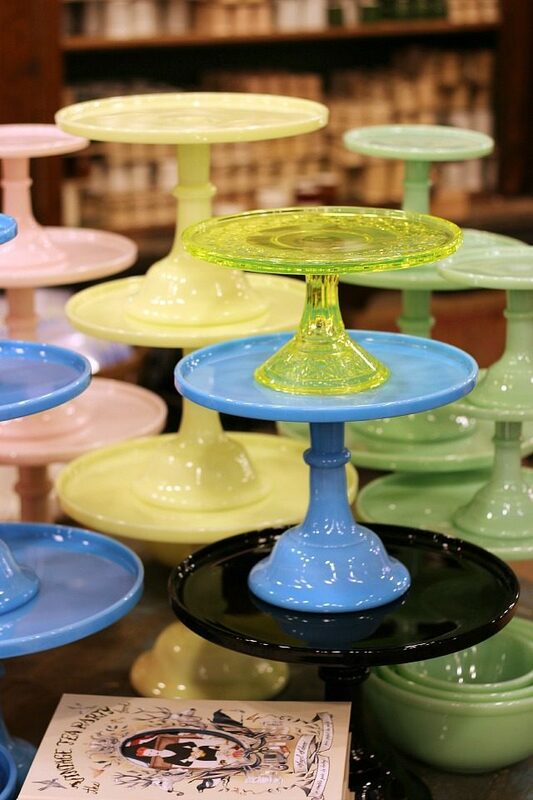 They have a line of glassware covered in multi-colored polka-dots, a dessert plate with “big mistake” written on it (only to be revealed by the time you’ve finished your “big mistake”), colorful patterned party glasses, gorgeous pastel cake stands, and so much more. 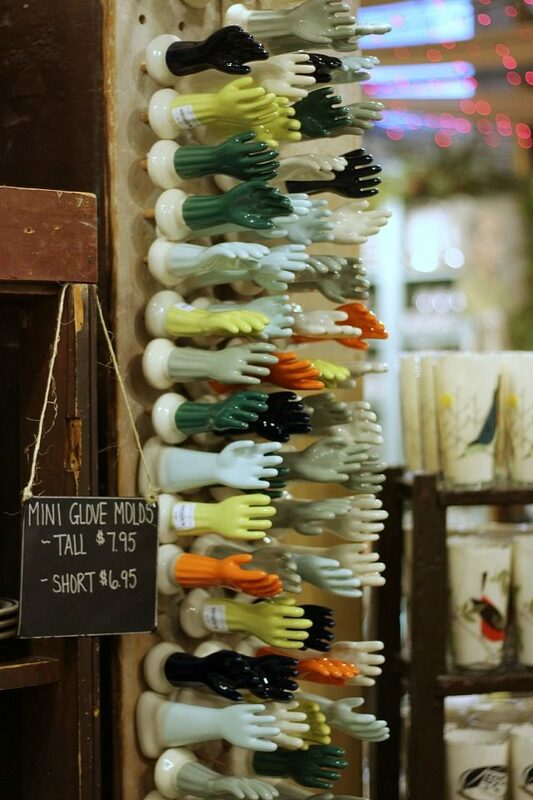 I would say the thing they’re best known for are their porcelain glove molds, which would add a quirky touch to any surface of your home-both in regular sizes and minis (you guys know how I feel about hands). 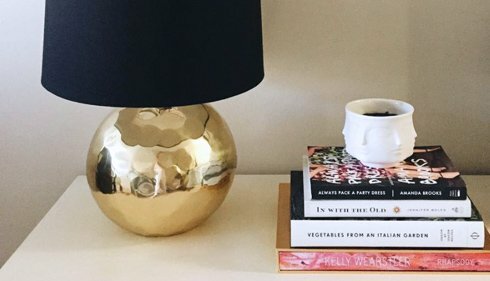 There are small items like metal straws, tiny bowls, and mini cocktail shakers, and their “Note to Self” line includes a mug printed to look like a piece of lined paper (so cute!). The great thing about Fishs Eddy is that as cute and quirky as the items are, they’re never over the top. 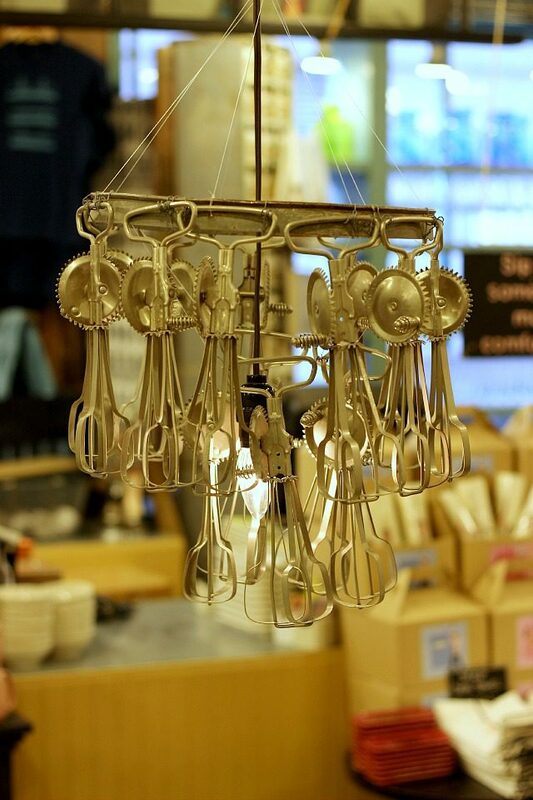 You don’t need to be a foodie to enjoy this store-as long as you have a kitchen and a sense of humor, you’ll be able to find something you love! 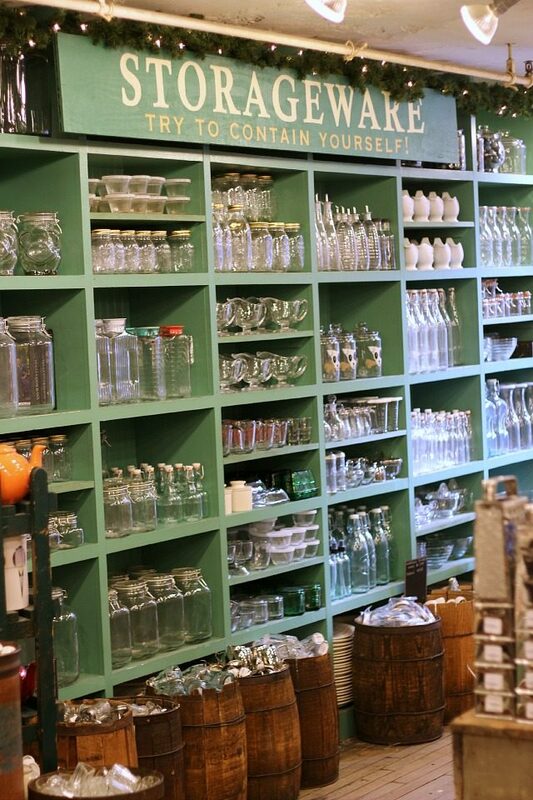 The store is simply full of character, and the staff is incredibly friendly and accomodating. 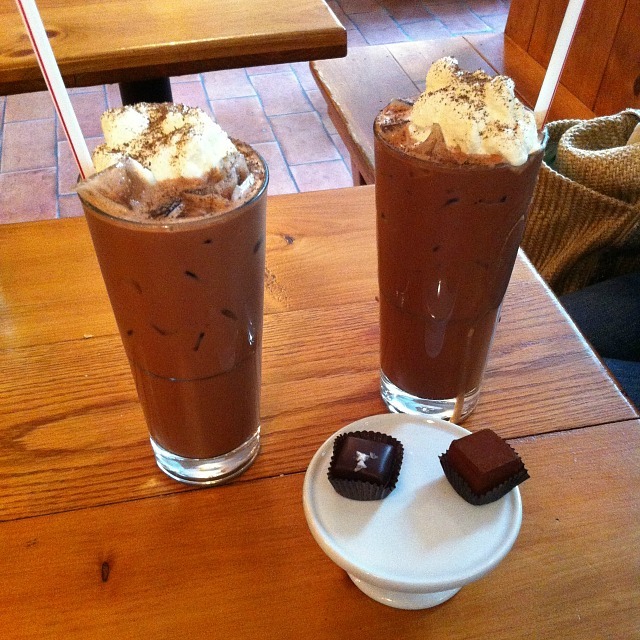 The atmosphere is bright and happy, and you’re sure to walk out of Fishs Eddy in a good mood. Also in the vicinity of Fishs Eddy: ABC Carpet and Home (a serious must-visit for design lovers), ABC Kitchen (best restaurant in the city in my opinion, and hard to get into…reservations should be made about a month in advance, but so very worth it), and a plethora of charming brownstones to take in as you amble along. It’s a cute area and a very cute store! A few weeks ago I was Googling around looking for one of these…totally forgot that Fish’s Eddy had these perfect ones…and in blush pink, no less! I couldn't agree more! 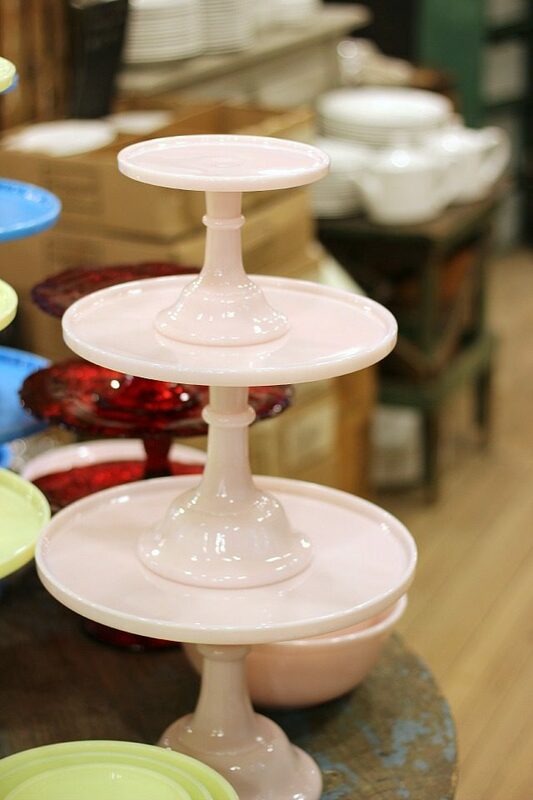 I fell in love with the jadeite cake stands and wanted one for SO long, so my mom recently shipped one (not sure if it's a fishs eddy one) to me for a housewarming gift in my new home in jersey city! 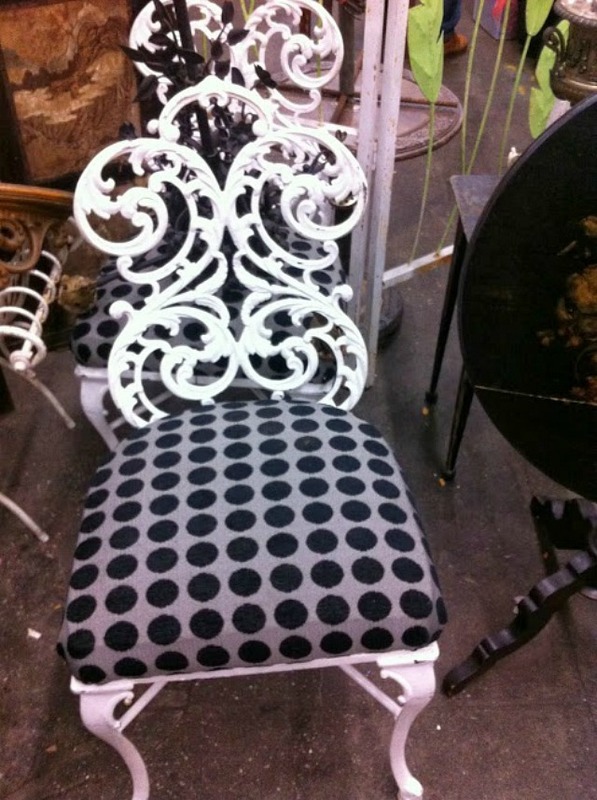 gosh and I could just get LOST in ABC home… inspiration overload…. Fishes Eddys is my favorite home goods store in NYC. 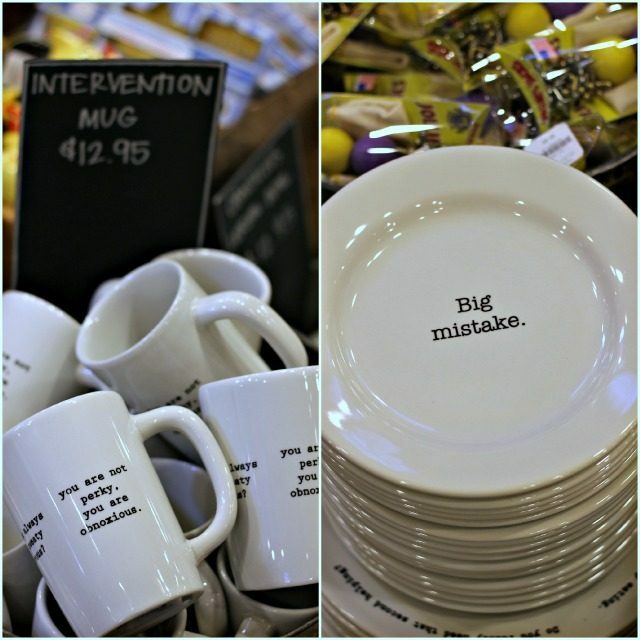 I love how quirky and (usually) inexpensive everything is! Agree, unusual and well-priced…rare qualities! 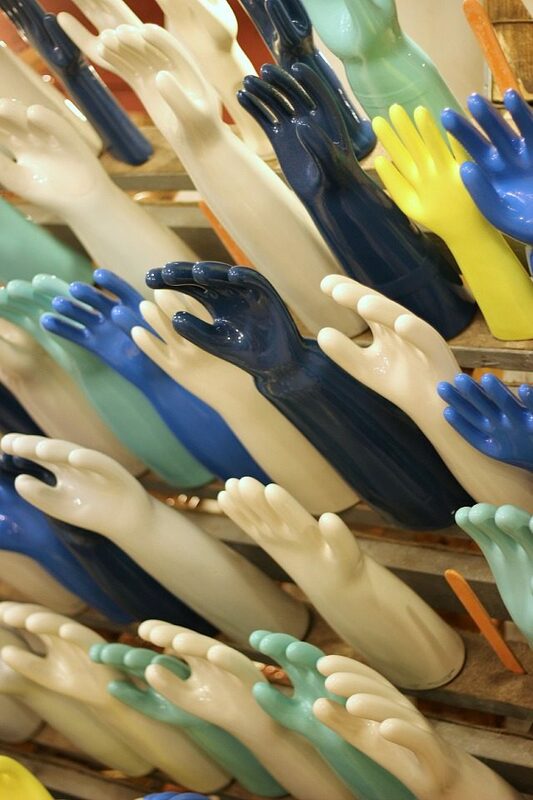 Hands kind of creep me out, but the rest of the store looks great! 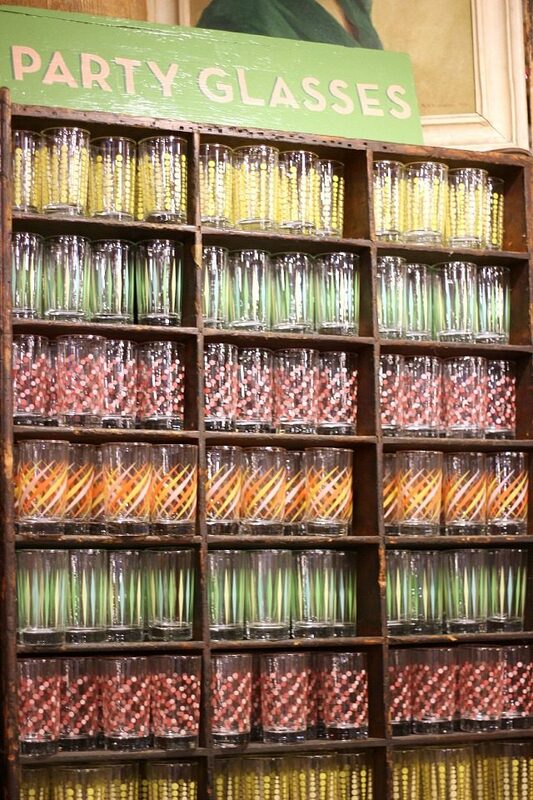 I would love to check it out the next time I'm in NYC! I'm obsessed with Fishs Eddy! Cute post and great pics! I love Fish Eddy's. They've got the best house warming presents. Ooh, good point. 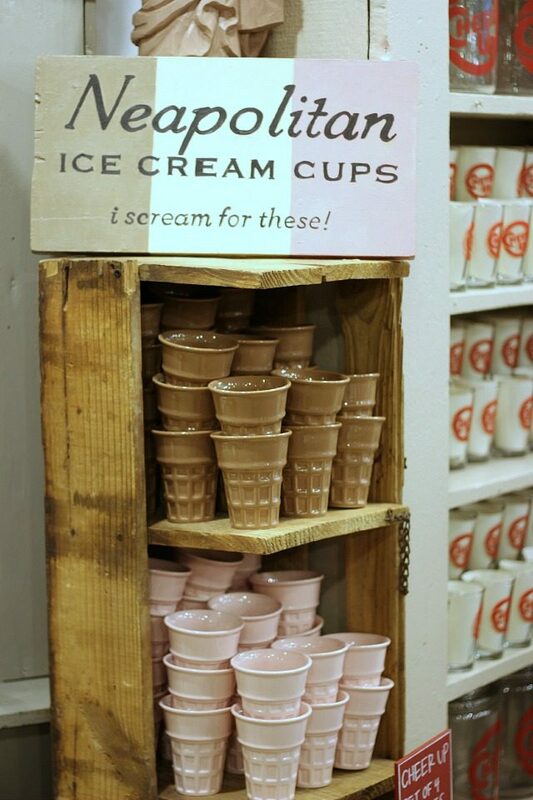 Great for a housewarming! I totally forgot about this cute place! 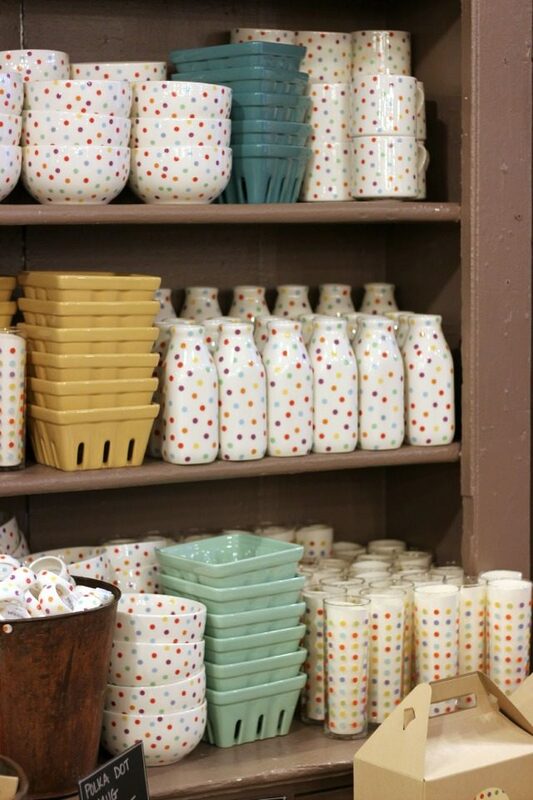 They used to have a store up on 70 something and 3rd ave. Anyway…those polka dots and "intervention mug" are everything! Do you know if their products are made in China, Portugal, Japan, somewhere in Europe, etc.? Such a cute store! I wish they had a location in Atlanta but I'm happy they have a website! Not that I need another store to feed my online shopping habit! 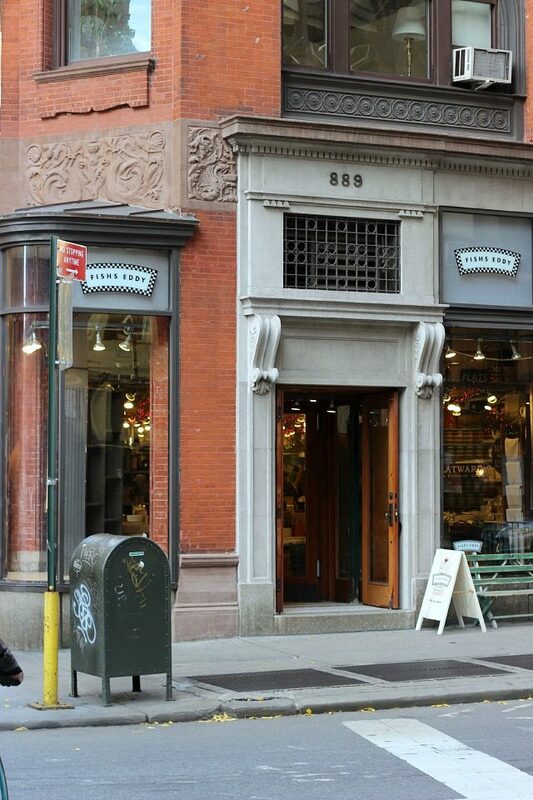 I had never heard of this store until a few weeks ago when I visited New York and went in this exact store !! 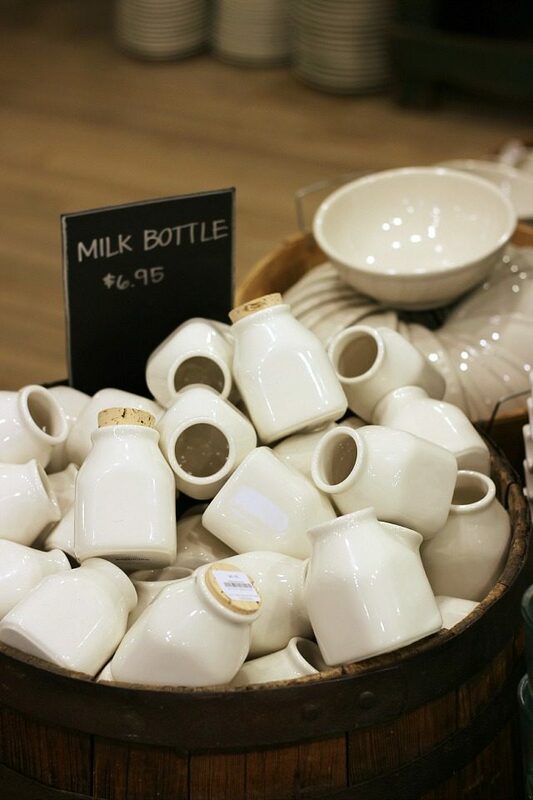 It is such a cool shop I agree and so reasonably priced ! 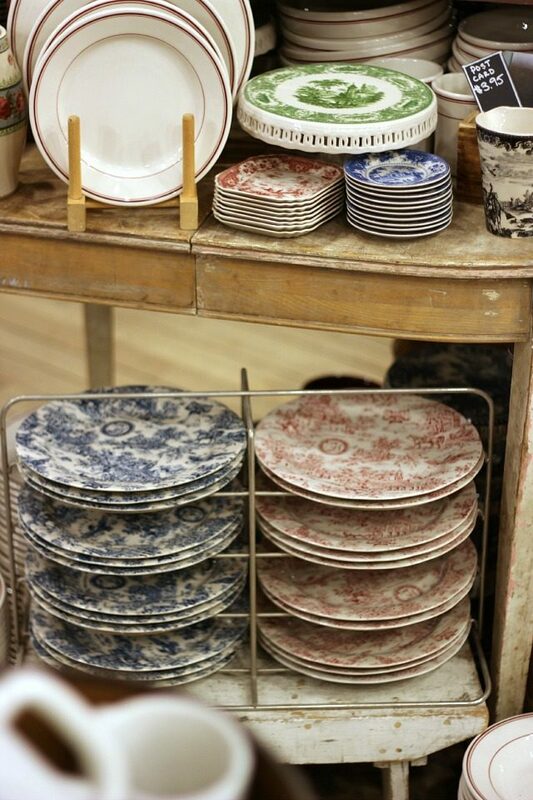 I wanted pretty much everything in there especially the tea towels and trays !! This place looks like heaven…dying to visit! Great pictures! It is such a great place! Thanks Kate! 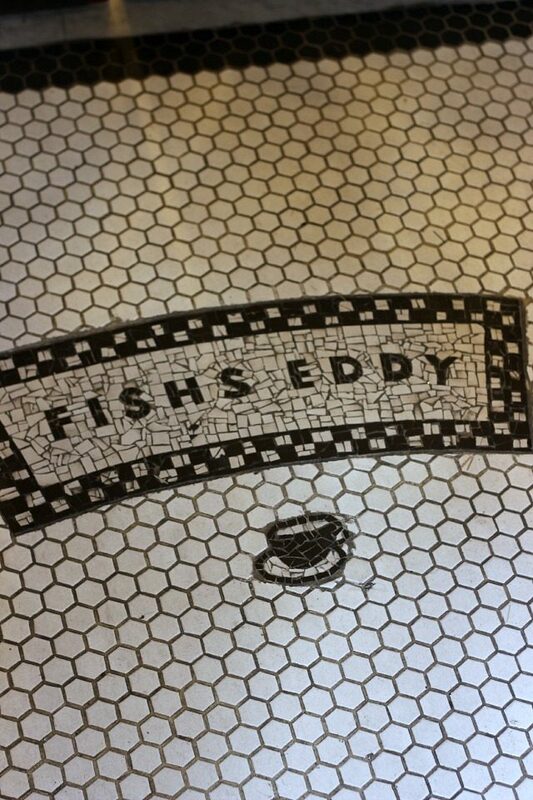 I LOVE Fishs Eddy! I found it a few summers ago visiting my sister in NYC (I live in Boston). 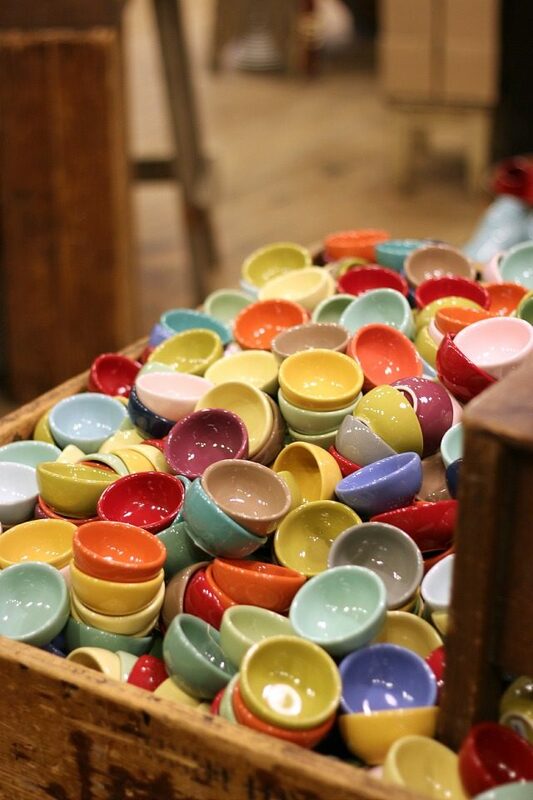 It's like a multi-colored kitchenware haven!